Facials, Microdermabrasion, Electrolysis, Waxing and Motives Cosmetics. Getting more out of your waxing service is only a click away! 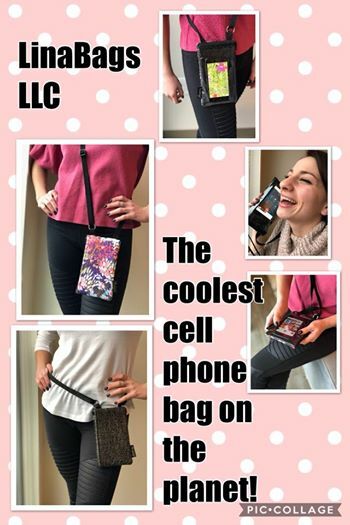 We now carry Lina Bags! I had an appointment for a mani/pedi. It was easy to make an appointment and they took me back right away. No waiting! Jackie was very nice and personable and made this experience very relaxing Julie F.
I went in for a pedicure at this salon - it was my first visit. While I have been to many salons; be it for hair, nails or a pedicure, I have never had such a wonderful experience as I did here. Jackie did my pedicure and I found her to be professional and yet very friendly and warm. Genuine actually. I am only sad I am moving out of state because I would make this my "all in one" salon. I cannot give them more praise. If you are looking for the best-this is it ladies! Lea Ann helped me initially improve my nutrition, taught me how to more effectively read labels and utilize supplements. She then helped me develop a flattering make-up palette for my son's Myrtle Beach wedding in June. Since Lea Ann has been providing my manicures my nails are healthier and stronger. All of her expertise has helped me manage my allergies, asthma and hives. Therefore I look and feel better. Marian joined us a few years ago working on Wednesdays as our waxing expert. We are pleased to have Marian working with us not only Wednesdays but Thursday & Friday. Saturday is by appointment only. waxing, facials and cosmetic application. Be sure to say "Hello"